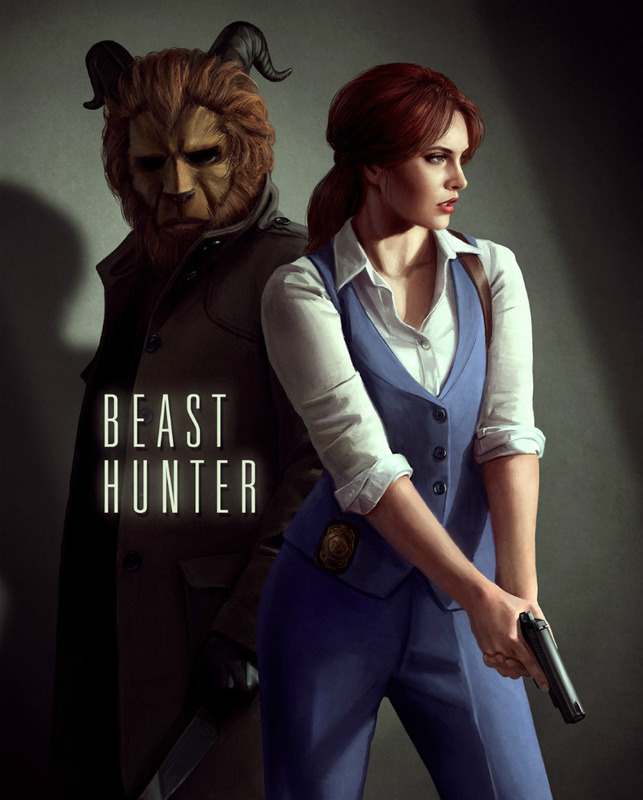 I love the concept of Belle being a cop that’s hunting the Beast. 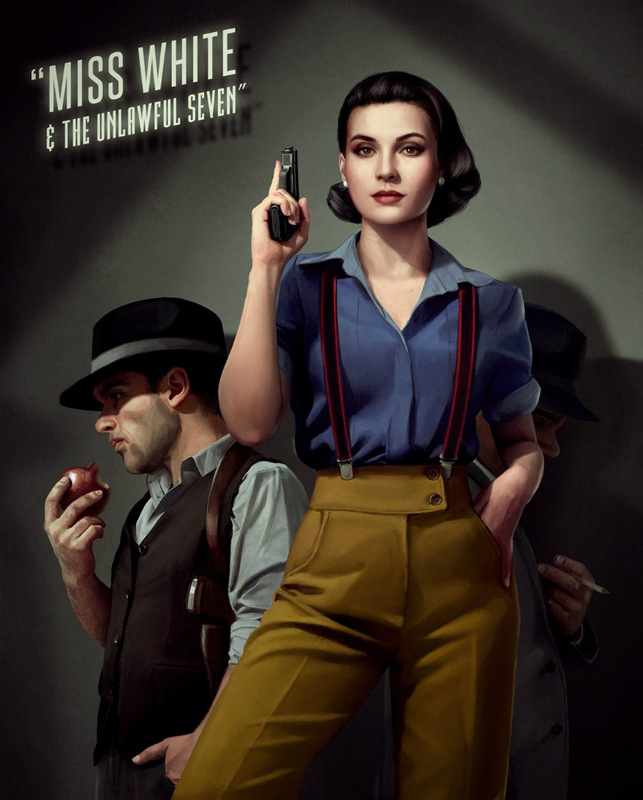 Snow White as the mafia boss and the dwarves as regular goons? Yes please! 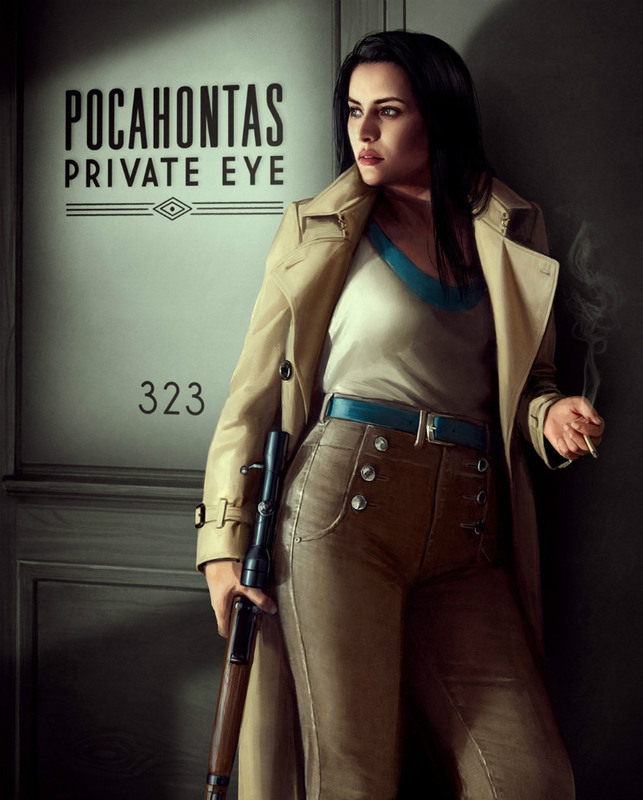 Pocahontas as a private detective seems like a match made in Heaven. The Sleeping Beauty story does perfectly lend itself to a noir thriller, doesn’t it? This poster almost screams “Sin City” to me. 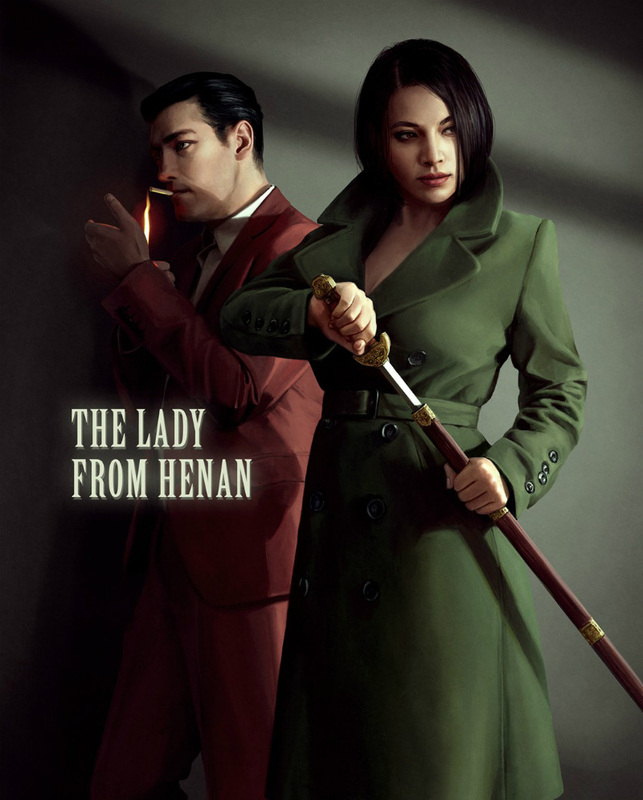 Mulan has never looked better – this style really matches her. I doubt Cinderella has ever looked so tough and mean. Her stepmother pales by comparison. 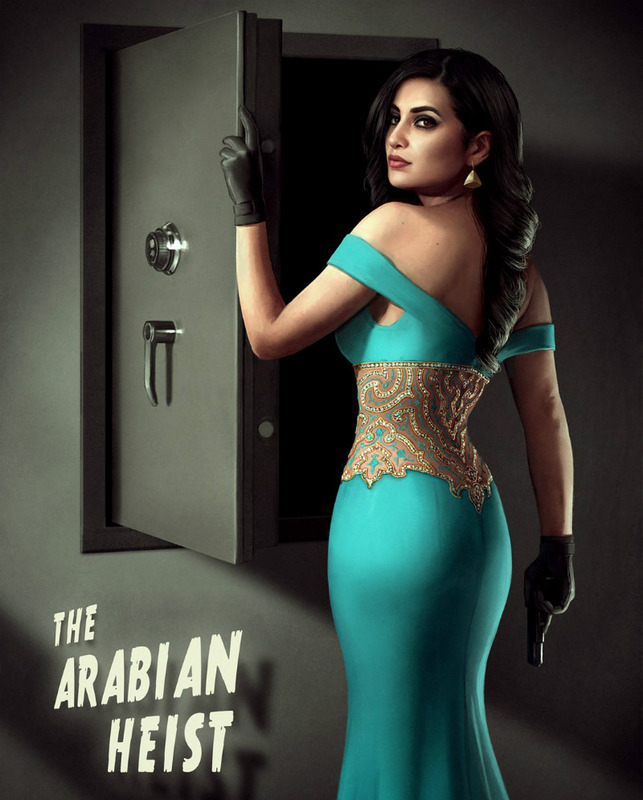 Princess Jasmine looks like she’s got this heist entirely under control without any help from Aladdin. 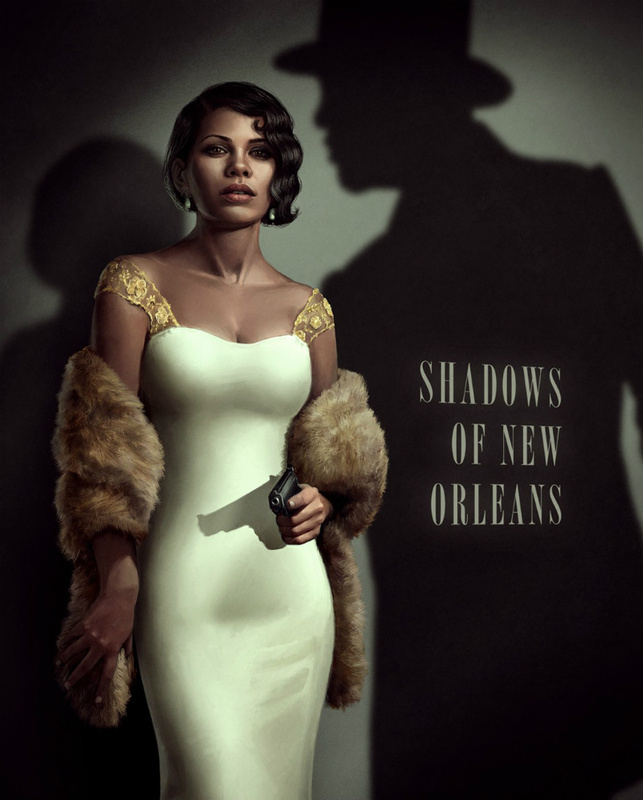 Tiana as a femme fatale from a crime movie in New Orleans? Yes please. 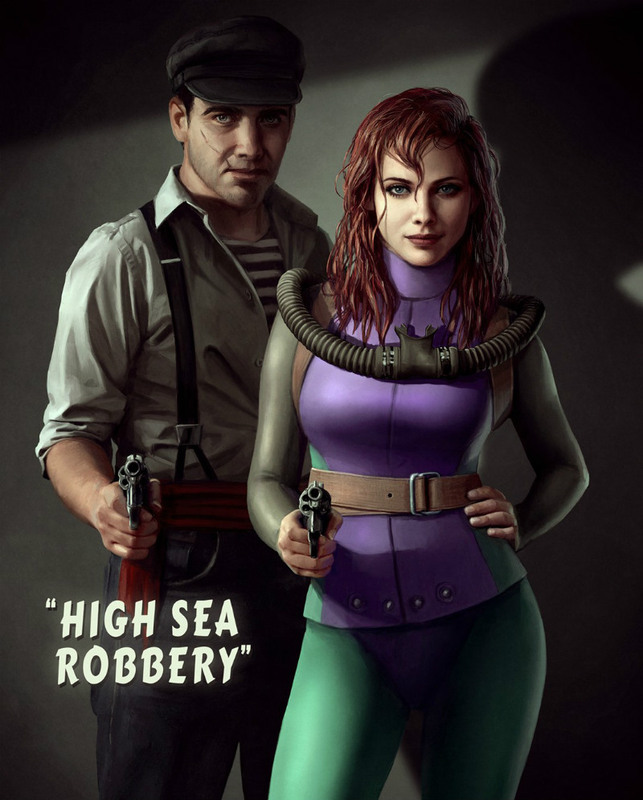 Think 20,000 leagues under the sea, but with Ariel instead of Captain Nemo.